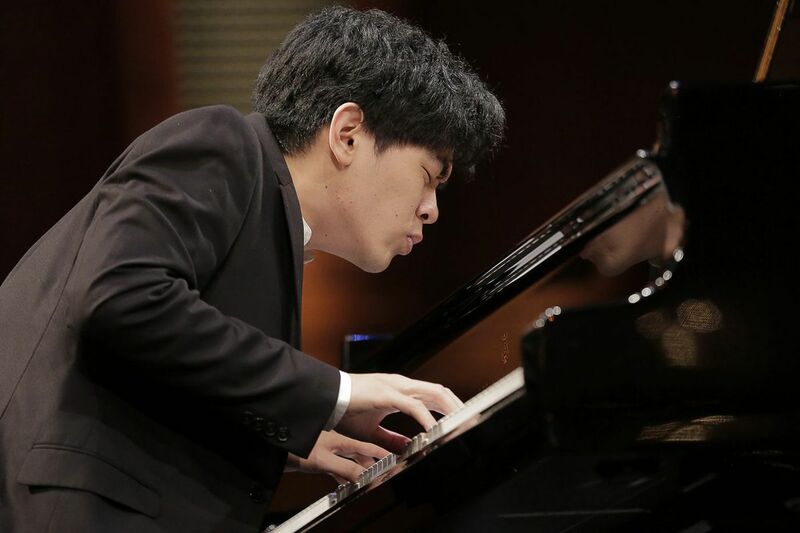 Daniel Hsu, a 19-year-old Curtis Institute of Music student, has made it to the finals of the Van Cliburn International Piano Competition for pianists 18 to 30 years old. He is one of six pianists who will now compete in the final round, the competition announced late Monday night in Fort Worth, Texas. Also a finalist is Curtis graduate Yekwon Sunwoo, 28, now studying in Germany. Hsu – who has studied with Eleanor Sokoloff and Gary Graffman at Curtis – came to the school as an 11-year-old, and is slated to return in the fall. He is one of three Hsu siblings to have studied at Curtis. The Van Cliburn, held every four years, started this year with 146 applicants, who were cut to 30, then 20, 12, and now six. "I would be lying if I said there wasn't any stress or pressure, but I grew up watching documentaries of the competition, and it never occurred to me that I would actually play in one, so getting to play here and being part of the whole experience is really cool," Hsu said in Sunday's Inquirer. "For example, in the first round, I played Don Juan by Liszt [Réminiscences de Don Juan], and one of my first memories of the Van Cliburn was hearing somebody play that piece … and 10 years later, I am playing it myself here." Sokoloff said she had been following online – watching and listening to Hsu's performances at the competition from her summer home in Maine. "I was thrilled with his performance of Pictures [at an Exhibition]. I heard the Mozart concerto. He's playing with all his heart and soul, that's all I can say." Hsu is the youngest finalist in the competition. Sokoloff, who has taught at Curtis for eight decades, turns 103 on June 16. The final round of the prestigious competition – whose top prize brings a cash award of $50,000 and three years of career management with U.S. and international concert dates – take place Thursday through Saturday. Finals consist of performances of a piano quintet with the Brentano String Quartet, and a concerto with the Fort Worth Symphony Orchestra conducted by Leonard Slatkin, who is also chairman of the jury. Hsu will play the Tchaikovsky Piano Concerto No. 1 in B-flat Minor. Winners will be announced at 7 p.m. Saturday at Fort Worth's Bass Performance Hall. Sunwoo earned his bachelor's degree at Curtis, a master's at the Juilliard School, and he studied with Richard Goode at the Mannes School of Music. He currently studies with Bernd Goetzke in Hanover, Germany. The other finalists are Kenneth Broberg, 23, of the U.S.; Rachel Cheung, 25, Hong Kong; Yury Favorin, 30, Russia; and Georgy Tchaidze, 29, Russia.